Since when do you have this interest for culture and why? Since I was a kid. My family has always encouraged me to read and enjoy art, always providing an enabling environment for this passion for grow. Luckily, I belong to an artistic family; my uncle is a top notch artist that works with different media, my cousin plays the clarinet for an international orchestra and my mom is a skilled craftswoman. I think my interest in art and culture reflects an even bigger obsession with the human condition in general. Art, architecture, literature, music, theater…they are all mirrors in which we see reflected all the changes experienced by a community at any given historical period. Beyond clichéd ideas, imagined communities and cultural Darwinism, there exists a more genuine, human culture that we all share. We know that you love visual arts. Which one is your favorite artwork and why? This is an impossible question to answer because I have many favorite artists from each style, current and school. If I have to mention only three artists, let them be the usual suspects: Caravaggio, Goya and the Egyptian painter Mahmoud Said. 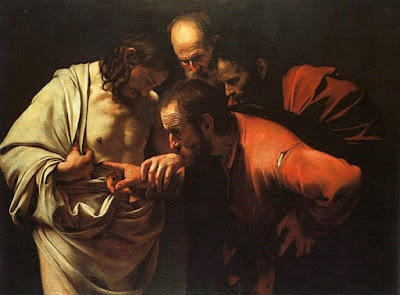 As for artworks, I particularly like Caravaggio’s ‘Incredulity of Saint Thomas’ for its witty allegorical references and Raphael’s ‘School of Athens’ for its allusion to the Renaissance ideals and its homage to the refinement of Classical Antiquity. Can you mention your other studies please and how do you relate them with culture? I hold a bachelor of Commerce, a Postgraduate in Hispanic Studies and an MA in Arts and Culture, but I also studied astronomy, geometry and experimented with chemistry. Culture is everything really; in as far as human activity is concerned. Let us not forget that Da Vinci had to study anatomy and mathematics to perfect his ‘art’, while Plato consistently urged his companions to study geometry. In which cities have you live and why do you decide to stay in Barcelona? I did not really choose Barcelona; I think it chose me. I came here because my wife is Catalan and we decided to settle here. I lived all my life in Cairo, Egypt, and spent a year in Granada before moving to Barcelona. To my mind and my way of seeing things, Barcelona offers almost everything I would ask of a city. It is the coessential Mediterranean city that I cannot do without. How do you end up studying at UIC Barcelona the Master in Cultural Management and what do you think it was the best during that period? Besides being a teacher you also work in other institution. Can you tell us more about it? I work since 2013 at the Secretariat of the Union for the Mediterranean, which is an intergovernmental organization based in Barcelona. Bringing together 43 Member States from the both shores of the Mediterranean and beyond, we work on promoting regional integration and cooperation with a focus on human and sustainable development in the Euro-Mediterranean region. Launched in 2008, the UfM is a platform for regional dialogue that also translates policies into concrete actions and works on regional development projects in priority areas and fields like climate action, higher education, women empowerment, urban development, etc. The UfM is fully co-owned by both shores of the Mediterranean as reflected in its Co-Presidency and the equal footing governance between the North and the South. What do you think that you do to be the favorite teacher in the English course always? Honestly, I never thought of myself as anyone’s favorite teacher, but I am obviously honored and thrilled to know that some of my students think of me highly. One thing I know for sure: I am obsessed with my students and I never spare any effort to make them more comfortable in class and to create a learning environment that would facilitate my courses for them. I dedicate so many hours to the preparation and fine-tuning of the material and the selection of the readings and the case studies. What advice would you give to all the people who are considering studying cultural management or for those who are becoming or are cultural managers already? My advice is very simple: be flexible and curious; never miss a chance to learn anything or acquire any skill no matter how irrelevant it might seem because multitasking is no longer a matter of choice. If you still think of culture and business as two separate spheres or two incompatible realms, then you are missing the very essence of cultural management. Culture is affected by business decisions and the equation also works the other way round. There is absolutely nothing wrong with starting small or on a humble scale then growing or upscaling. Without a proper understanding of at least the basics of marketing, finance and fundraising, you are unlikely to go far as an entrepreneur. 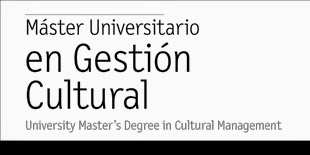 When you study cultural management, you will find out that it is much more than just art history or art appreciation. An understanding of strategic planning, communication, finance, legal aspects and many other facets is a priceless asset because they are all critical success factors for your work.